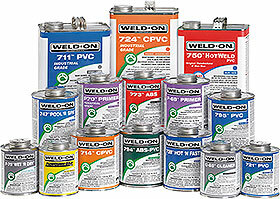 WELD-ON delivers industry leading quality, environmentally friendly products and superior services to our customers. We strive to meet the requirements of all our interested parties. The personal and professional growth of our people, continuous improvement of our products and processes are responsibilities equally shared by the company and each employee. We do not consider ‘good enough’ the resting point of our efforts; the process of improvement is on-going and an integral part of our task every single day. 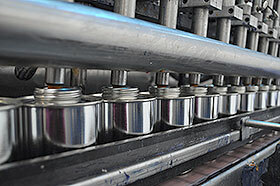 We are committed to manufacturing quality products for professionals. In fact, our China and USA facilities are ISO 9001: 2008 certified for its excellent quality management system. Our products are manufactured to the highest standards available and face stringent quality control tests prior to sale and distribution. Our skilled team is readily available to help customers with product selection and ordering. We are experts in international shipping and our international customer service staffs are certified in hazardous material shipment. Our technical specialists provide professional recommendations and product application training to suit the needs of our customers. Our research scientists and engineers have vast technical knowledge to develop the most technically advanced and innovative product to meet our customers’ needs. As a subsidiary of IPS Corporation, Weld-On is committed to providing the resources, educational support and improved technologies that help to improve the lives of people around the world. From supporting global initiatives that aim to end world water poverty, to the support of local charities, to being an innovator and early-provider of environmentally responsible products, we at Weld-On believe in fostering sustainability. Established in 1954, IPS Corporation has grown tremendously over the past 60+ years. Today, IPS Corporation is the trusted leader in manufacturing adhesives, solvent cements, and numerous components and supplies for the plumbing, construction and plastic fabrication industries. The company is organized into three subsidiaries – Weld-On Adhesives, Inc., IPS Corporation – Plumbing Division, and SciGrip – and carries the core brands WELD-ON®, WATER-TITE®, TEST-TITE®, GUY GRAY™, TRUEBRO®, and STUDOR®. Refer to our corporate site, www.ipscorp.com, for more details.